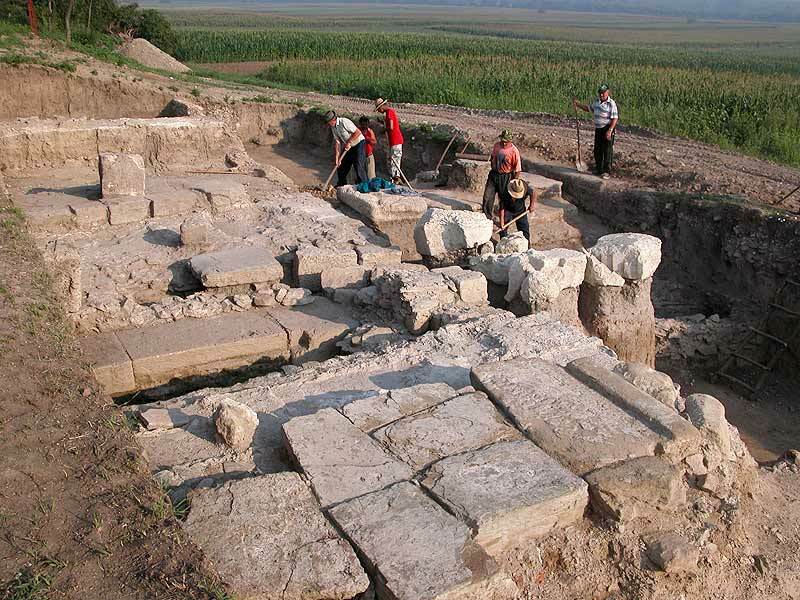 The Roman camp (castrum) in Viminacium was built in the early decades of the 1st century A.D. 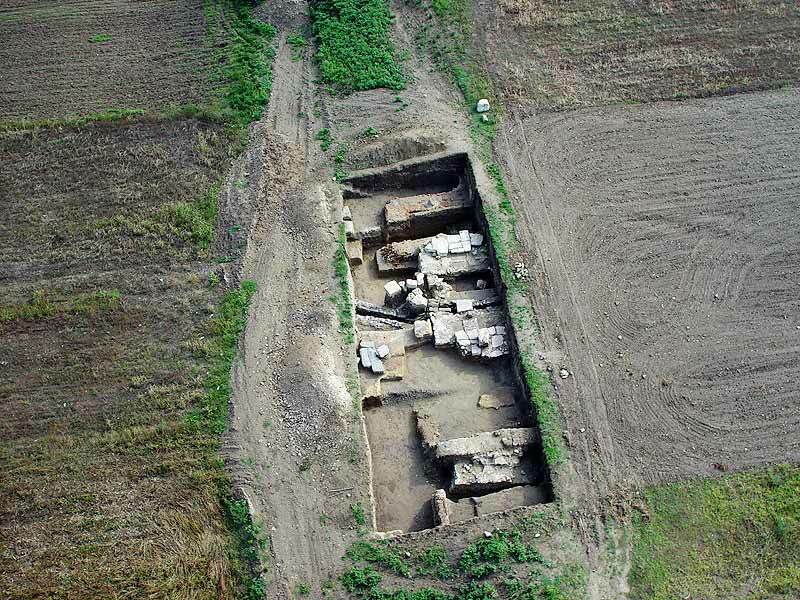 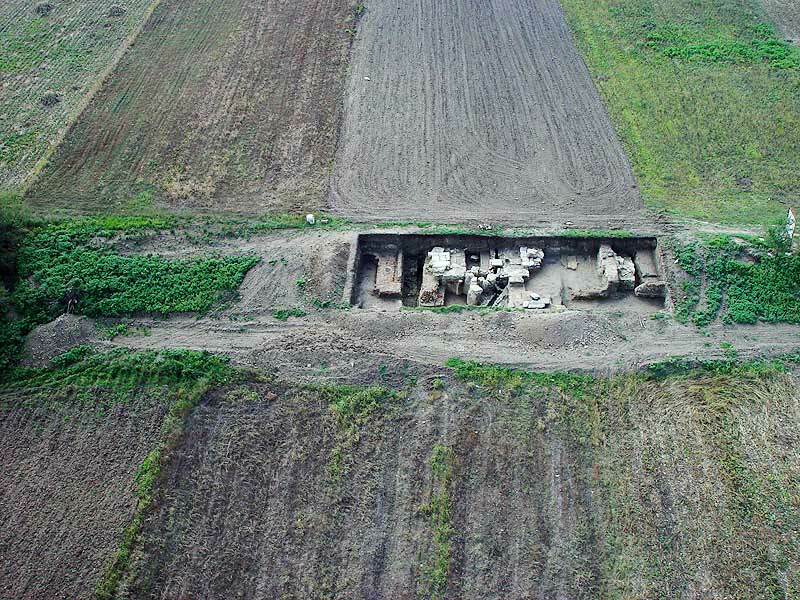 The existence of a previous earthwork at the very beginning of that century and associated with one of the first Moesian legions, the IV Scythica or the V Macedonica, may be assumed, although it has not been attested by archaeological evidence. 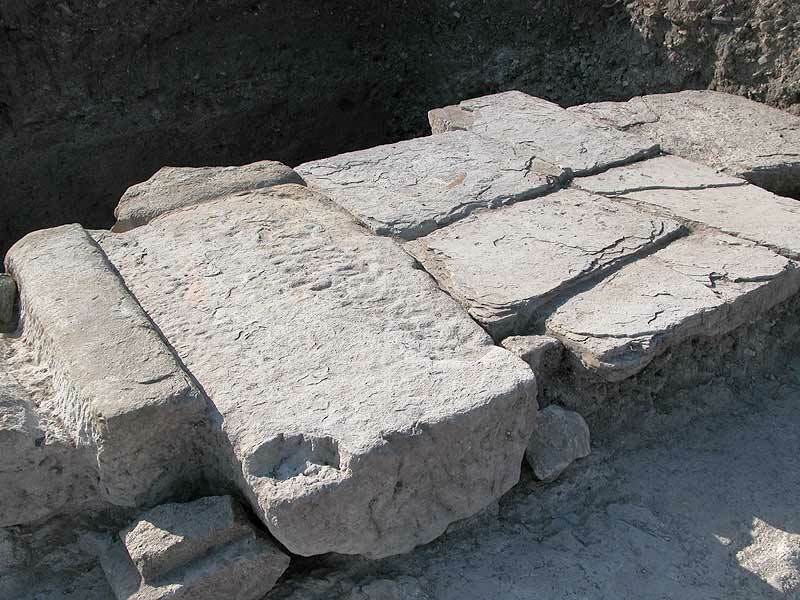 The construction of the earliest stone fortifications, around the middle or in the second half of the 1st century A.D., is associated with the VII legio Claudia, which was stationed here throughout the classical period. 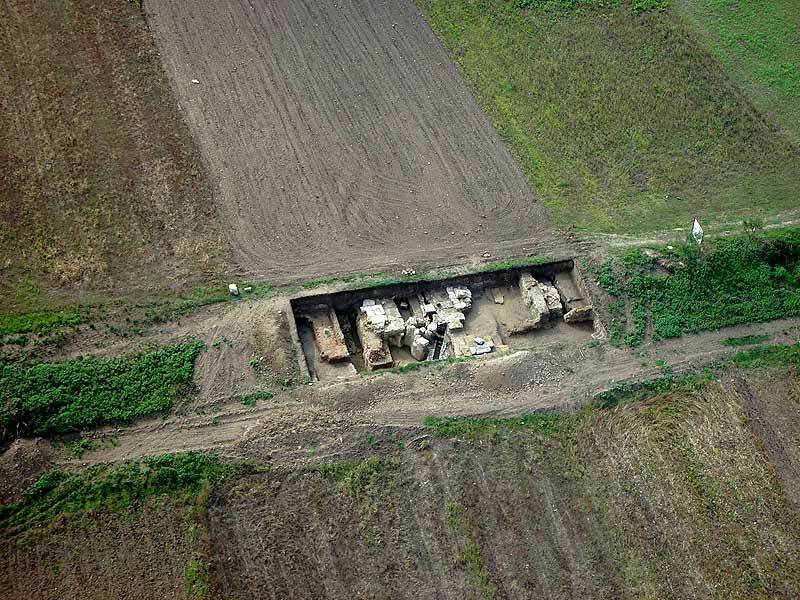 The approximate dimensions of the camp are 443 x 387 meters. 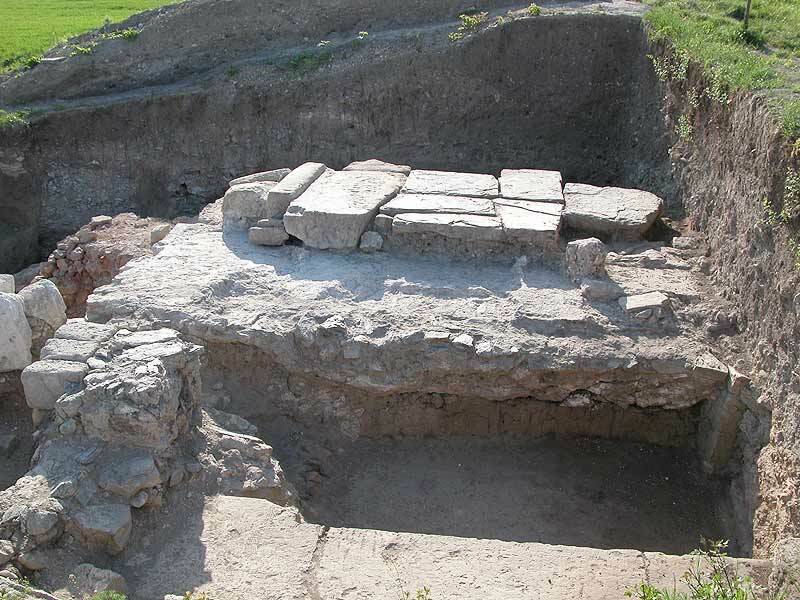 Its remains have been found on the right bank of the Mlava river as early as the 18th century, and the first archaeological excavations are associated with the explorations of M. Valtrović and M. Vasić. 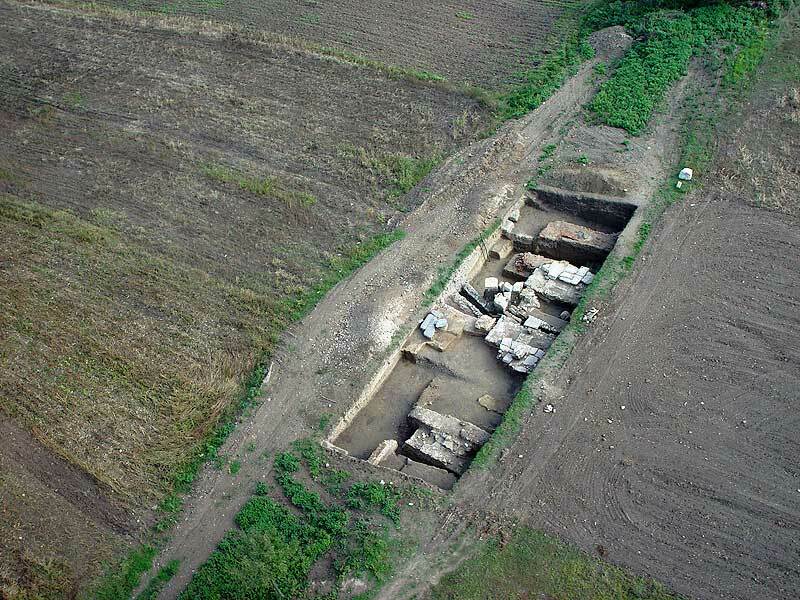 at the beginning of the last century. 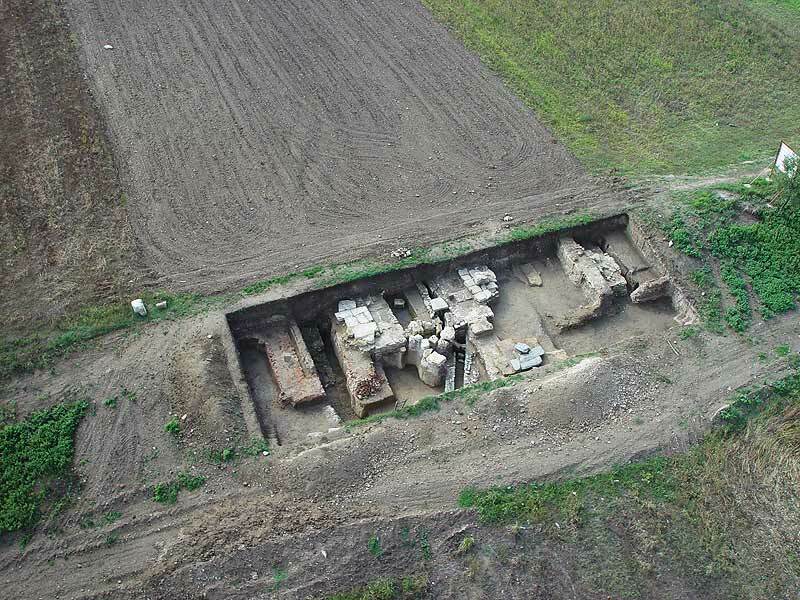 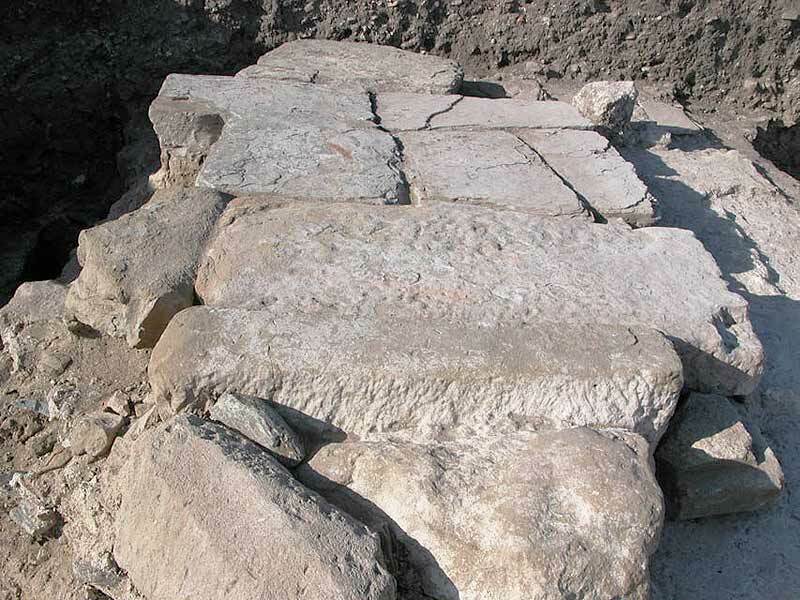 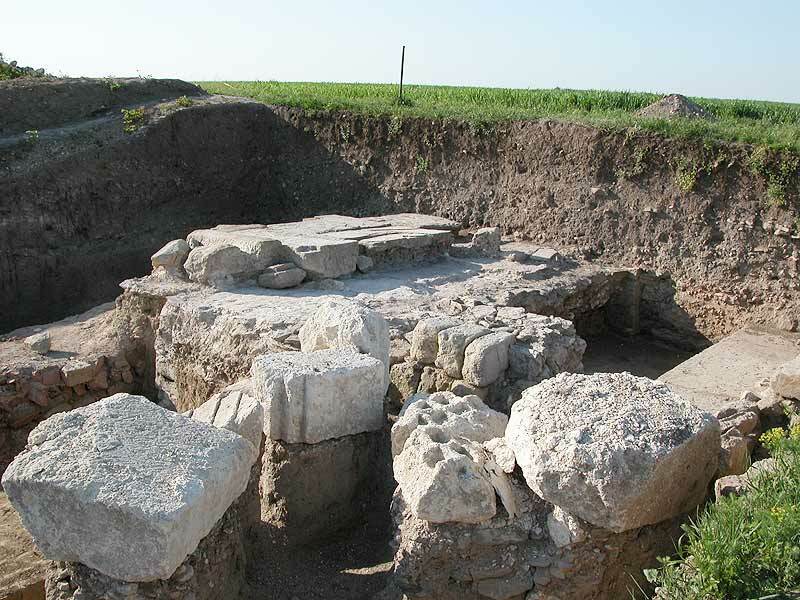 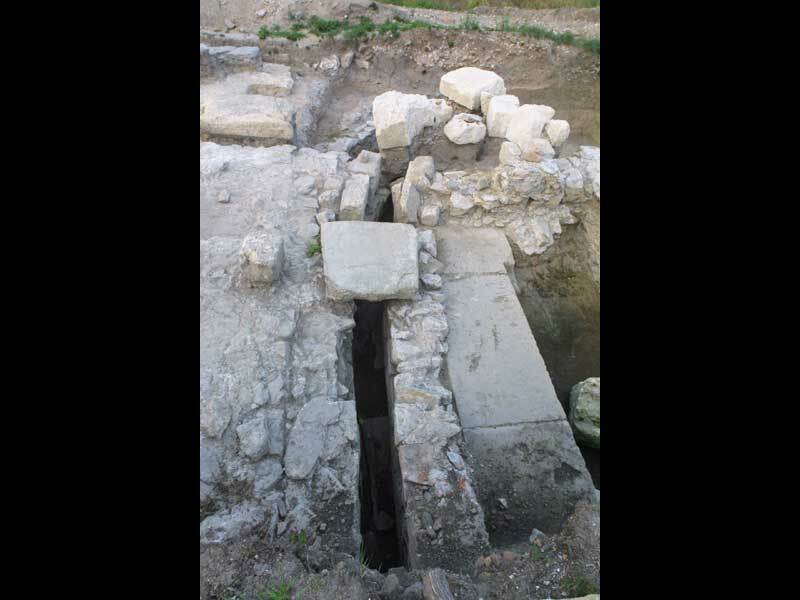 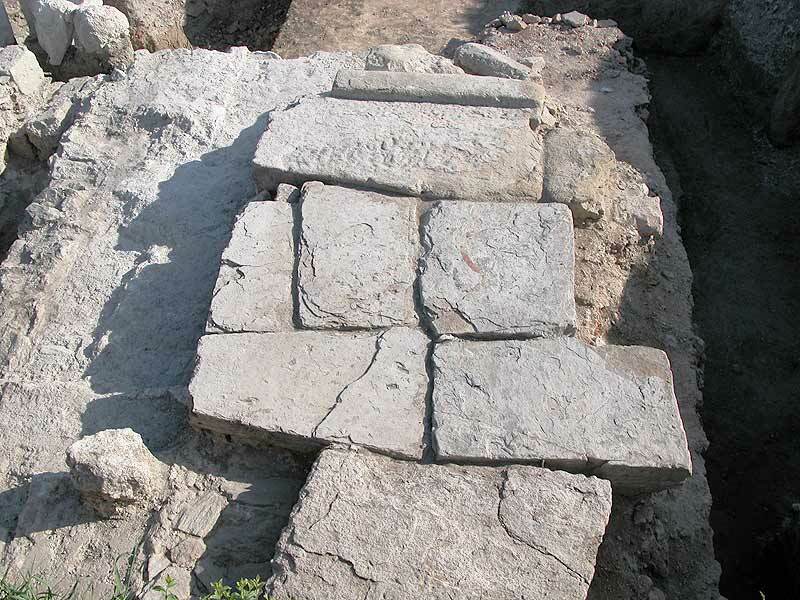 The north gate of the camp, “the Porta Praetoria”, was uncovered during the systematic excavations carried out in 2002 and 2003. 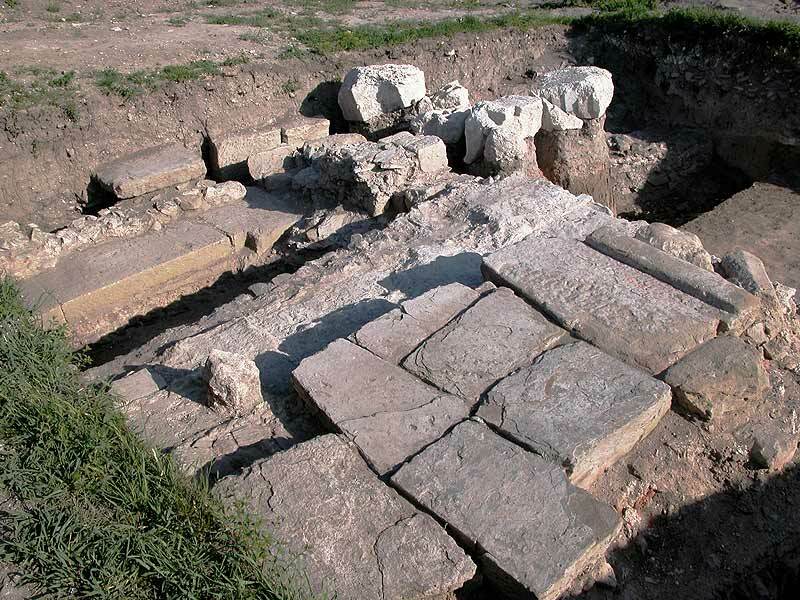 The remains of the entrance gate, with massive pavements, a cloaca and richly decorated architectural elements show that the camp was a part of the mighty defence system on the northern frontier of the Empire. The find of a hoard of bronze coins dating from the period from the early 4th century to the middle of the 5th century A.D. is a testimony of the imperilled state of the camp, which was abandoned during the Hunnic invasion of 441 A.D. and never regained its former importance. 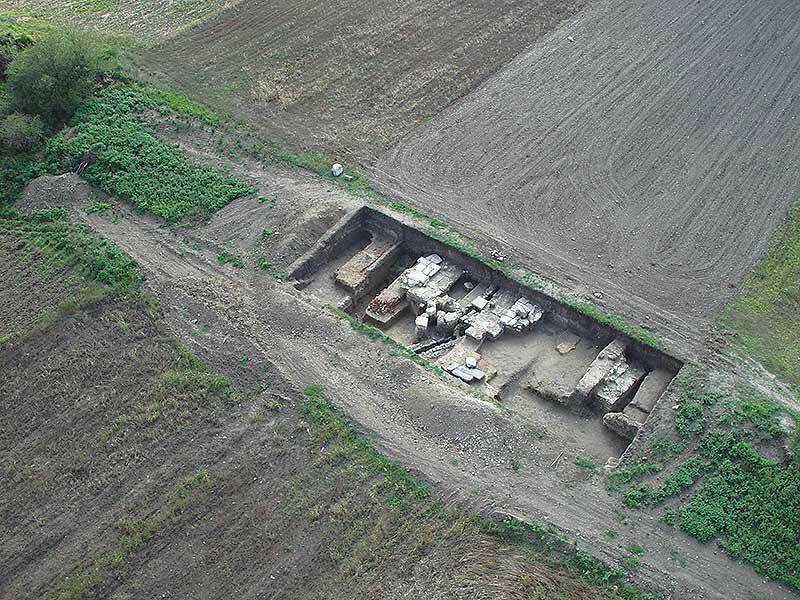 The aerial photos and the geo-radar and geomagnetic surveys of the site give us a reliable picture of the camp with its defence walls, gates, towers and an administrative building (praetoria) lying beneath the fertile farmlands of Stig.